Service Campaign 2013040003 MAY13 – 2013 models 212 & 218 right horn bracket may not be to specification, dealer will re-torque. LI88.30-P-056180 MAY13 – 218 front wheels with 18-inch tires scrape against front wheel liner, replace wheel well liners inclusive of front engine compartment paneling. LI42.10-P-054524 SEPT12 – 212.072/090/272 front brake vibration. Thickness fault on brake disk replace pads and disks. Does this apply to a 2012 E550 cab? I am experiencing vibration under braking especially in freeway. Car has less than 8000 miles and 1y1mo old and the dealer is refusing warranty. LI67.30-P-056196 MAY13 – 207 up VIN F215729 vertical scratches on front and/or rear windows replace window and install new trim strip. 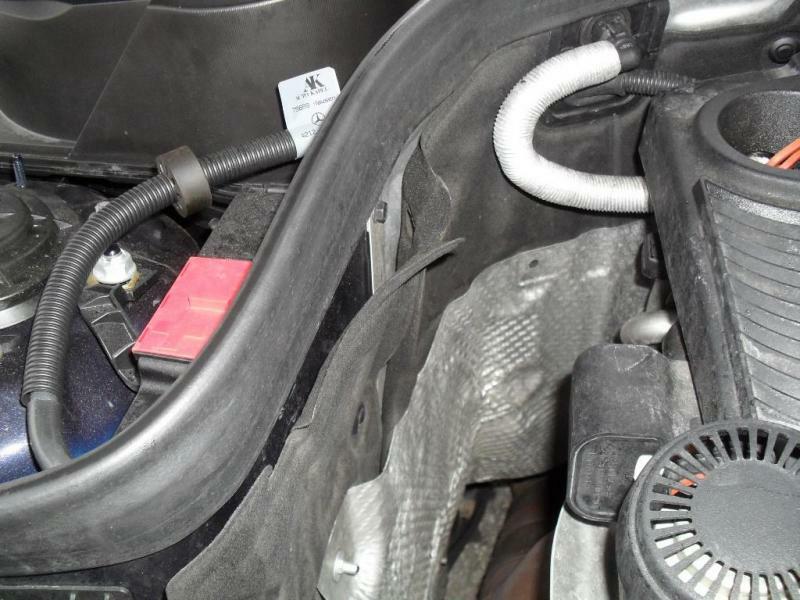 LI49.20-P-056353 MAY13 – 212, 218, 164, 166, x204, 221, 251, 463 with 642 BT engine (code U42) heating element of AdBlue tank malfunctions, replace faulty components program SCR control unit with new software. LI07.08-P-056434 MAY13 – 276 engine intermittently shuts off at idle when vehicle is stopped for some time at a stop sign, traffic signal or similar traffic situation. Update MED control module software. LI01.60-P-056340 JUN13 – 276 engine thread on timing case in area of oil filter housing shows signs of leakage (see attachment), install new bolt 0029901103. 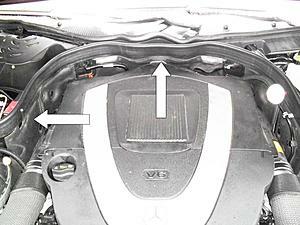 LI62.25-P-056043 JUN13 – 212 & 218 deformation of engine compartment soundproofing due to water ingress. Install optimized seal part # 2126280800. Do they do an alignment after replacing two front struts? Yes they should. Matter of fact, if you have a 4MATIC, they should complete a 4 wheel alignment. My 2012 W212 Vin A617810 leaks water into the foot well on the drivers side. Is there any TSB on this? Appreciate any info before I take it into the dealer. I had a car once where water was leaking from the A/C into passenger floor due to poor assembly quality and design of drain location. Does it leak in rain? when washing car? Turn a hose on windshield and then on the area at base of windshield. Might help narrow it down. Seems most noticeable when I hose the car down for a wash.
Are you aware of the TSB which the poster states his dealer informed him exists, necessitating a 2012 E350C engine rebuild due to bad wrist pins? Yes. I had my front rotors replaced on my 550 cab for this very reason. HOWEVER the dealer was very specific that they did me a "favor" as a long-time customer as I had the service done just after one year and they would not do it over 12K miles or 12 months. Service Campaign 2013050005 JUN13 – MY 2011 212, 204 and X204 transmission noise, may not meet internal specifications replace transmission. Approximately 17 vehicles affected. Have dealer check VMI to see if vehicle is included. LI82.61-P-056388 JUN13 – Becker MAP PILOT navigation announcements inoperative, update software to navigation module. LI27.19-P-056458 JUN13 – 212.098 & 298 (BLUEHYDRID), 212.095 & 195 (HYDRID) various transmission complaints, flash transmission control unit - automatically flashes engine control unit (ECU), battery management system (BMS) and power electronics (LE_TUBE) at the same time. LI09.20-P-056492 JUN13 – 212,077 & 277 (E63) up to engine # 60 005808 CEL lights up / engine shakes at idle, replace intake manifold seals using modified aluminum mounting bolts. 2. I see some Service Bulletins/TSB's/LI's that mention a specific model year (MY) and some that don't. How do I tell the differences between MY variances? If bulletin references model year (MY), production range, and /or VIN range etc. coverage is of course limited. If not, bulletin should cover listed model(s) regardless of MY and VMI (vehicle master inquiry) confirms eligibility - i.e. : bulletin references modified part without MY, given production date VMI and/or EPC (electronic parts catalog) should confirm if part was already installed at production. LI88.20-P-052891 - 212 rear bumper sticks out in area of rear lamp. 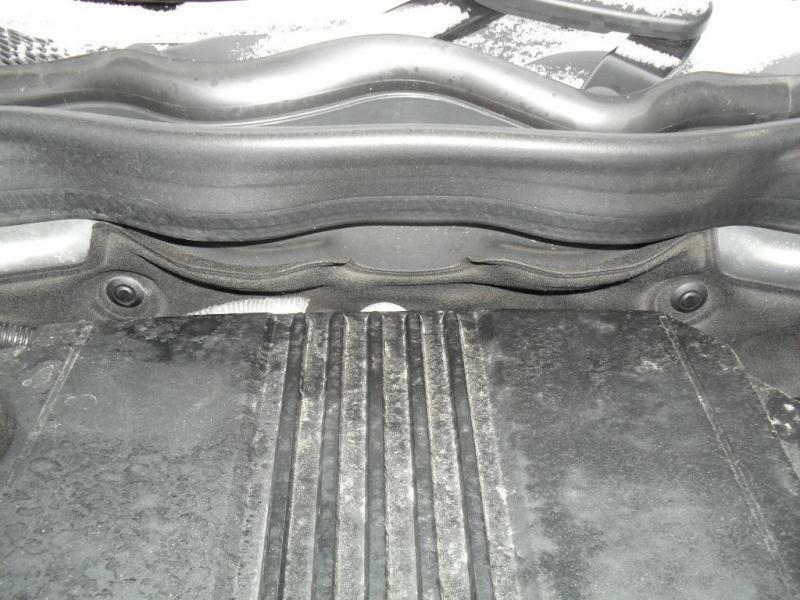 Bumper experiences thermal expansion mounting rails (fender area) cannot sufficiently hold the bumper in place. If bumper is not equipped with additional latch, it should be replaced. 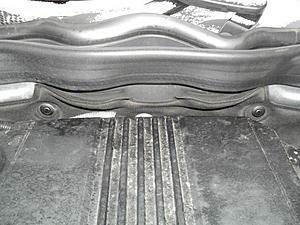 Note since JAN11 bumpers are equipped with additional retaining tab. My new to me MY10 E550 has this bumper issue is that possible you can send me a copy of the bulletin? My 2011 e350 had the same bumper issue. Please send the bulletin. Konigstiger, thank you for posting this info. I dropped my car off (2012 E550 sedan) at the dealer a couple of days ago because of a vibration in the steering wheel while braking, along with a strange noise in the front which I thought was normal. The tech could not find anything wrong. I then went online and found this forum and I think I found two service bulletins you posted that apply to my car. 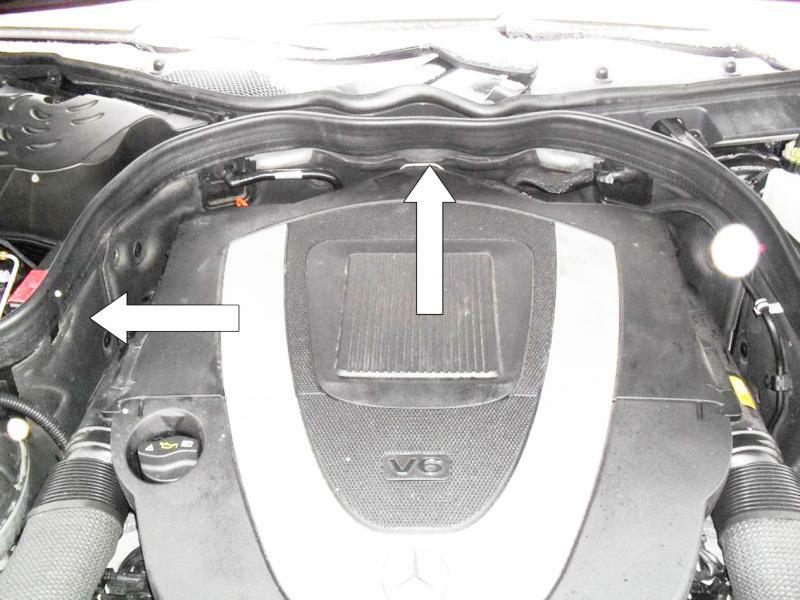 LI42.10-P-0555595 FEB13 – 212.091 E550 4matic, grunting noise from front axle area during medium / hard braking (similar to allowing vehicle to creep slowly from a stationary position with brakes partially applied), replace front brake pads. I emailed the dealer with the info and hopefully they end up replacing the brake pads and disks on my car. One question, when Mercedes issues a service bulletin and the dealer performs the repairs they are reimbursed by Mercedes for parts & labor, right? when Mercedes issues a service bulletin and the dealer performs the repairs they are reimbursed by Mercedes for parts & labor, right? Last edited by konigstiger; 07-20-2013 at 11:50 AM. From my understanding, yes they get paid for the parts and labor but they have an internal labor rate that amounts to less than what a private mechanic would get paid. Maybe even 30% less than a private mechanic sometimes. This is why dealers are annoyed at doing warranty work. Can anyone chime in on this? LI32.25-P-051123 FEB11 – 212 without Airmatic (489), 207 without vehicle dynamics (483) dull thumping noises or metallic rattling from the area of the front axle occurring @ speeds 10-45 mph, modified front struts should be installed. LI42.10-P-051397 MAR11 – 212.077/277 without AMG ceramic brake system (B07) low mileage rear brake squeal, dealer should check batch # installed if within affected range 250-10; 264-10, 278-10; 288-10; 292-10; 307-10 pads are to be replaced. Could you please pm me LI32.25-P-051123 FEB11 ? I have been getting the dull thumping while turning sharply at low speeds. The dealer says the tech knew about the bulletins, but refuses to replace the pads or rotors under warranty because my car is 19,000 miles (warranty for pads & rotors is 12,000 miles) and doesn't feel the vibration is bad enough. They said if I want to replace the front pads and rotors it's close to $1,000. Very disappointed. Which dealer is refusing to do the work? Get the word out via this forum, yelp, etc. to warn your fellow MB owners. A premium brand should take care of the owners of their cars. Thanks.